The Leapfrog Group, a national nonprofit institute that issues hospital ratings based on self-reported data, filed defense this week in a lawsuit brought by Saint Anthony Hospital in Chicago, Illinois. Saint Anthony sued Leapfrog in November for defamation based on the fall 2017 grade it was given. Saint Anthony received a “C” because, according to Leapfrog, the hospital only issued between 50% and 74% of through computerized physician order entry (CPOE). Saint Anthony disputes that claim, saying it prescribes electronically over 95% of the time and that it had notified Leapfrog of that information prior to the release of scores on October 31st. “In short, this lawsuit is [Saint Anthony’s] eleventh hour gambit to turn back the clock on a disappointing safety grade,” lawyers for the Leapfrog Group write in the defense, which argues that the hospital failed meet given deadlines when it provided information that may have rectified the score. All 2,600 hospitals in the survey are given a window to review and update their data, the nonprofit says, and Saint Anthony only attempted to dispute the claim 6 days prior to publication, after the window had closed. 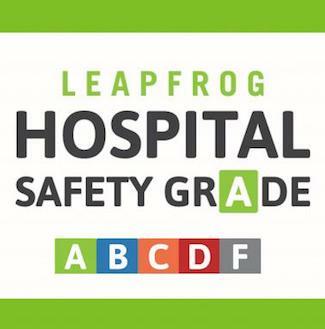 The “C” grade for fall 2017, however, does not actually appear on the Leapfrog Hospital Safety Grade website: the group says internal policies prevent publication because it is unable to verify the accuracy of the provided CPOE data. In the past 2 biannual reports, the Chicago hospital received an “A” grade. The Leapfrog Group announced its top hospitals in the United States earlier today. The 109 health centers named will be honored this evening at a dinner and reception in Arlington, Virginia. New Jersey, California, Florida, and Massachusetts all had 10 or more hospitals make the list, while 5 from the state of Illinois were recognized.